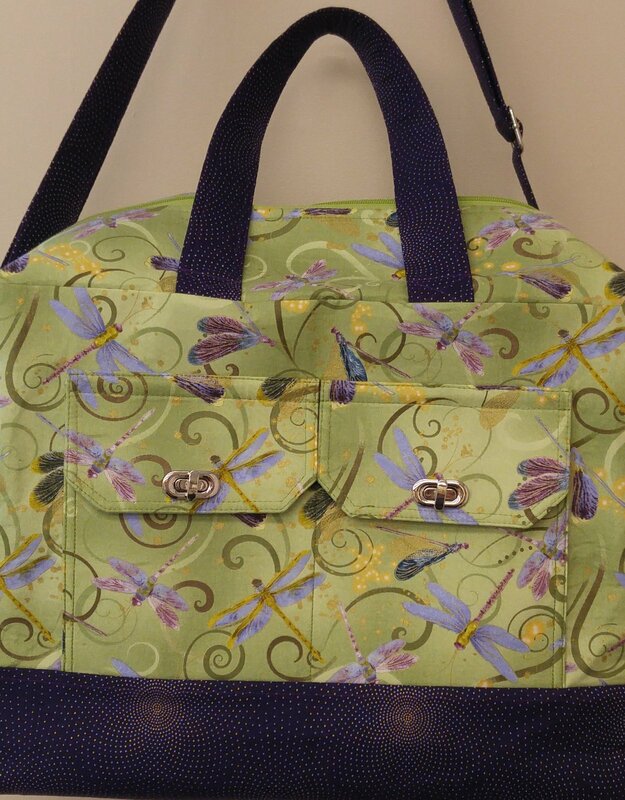 Come work on this fabulous bag with the designer of the pattern! This bag is an appropriate size for a carry on and also has a luggage strap. There is an adjustable shoulder strap, top zipper, back zipper and two front flap pockets. With this beautiful, functional bag, you'll have to watch that no one else takes your bag off the plane!